I’m over the mountain helping out with the twins in Kaycee… Hopefully, tomorrow I’ll have some mountain photos to share… but I must say, these boys are keeping me busy! Yes, stunning photo! And perfect title. Have fun with the twins! 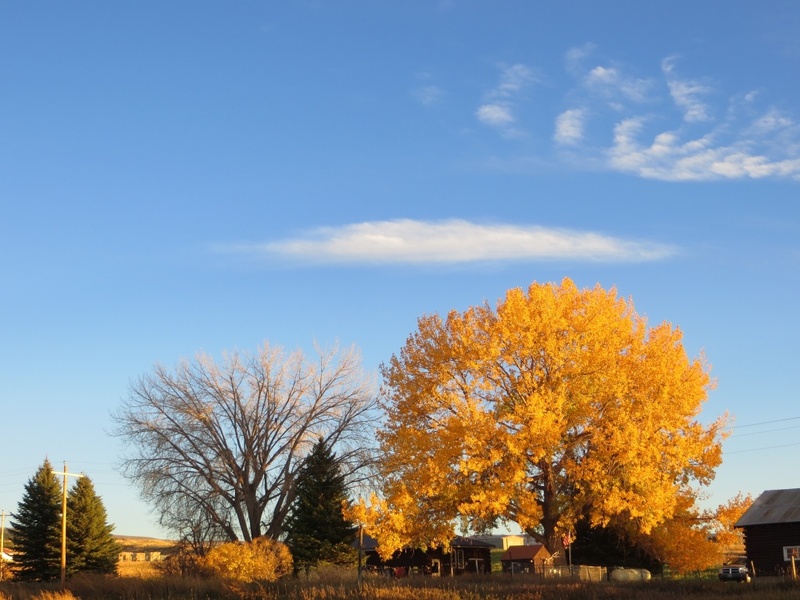 Amazing cottonwood trees, majestic with or without leaves, but at their most gorgeous in this golden dress. Great photo.